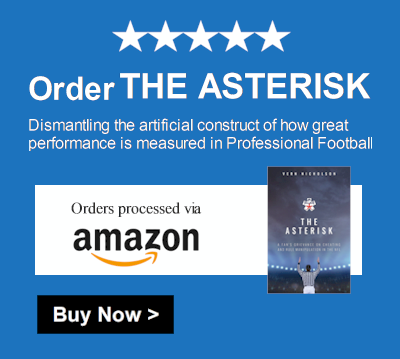 Yesterday I was working on my production pipeline of marketing projects and heard Stephen A. Smith’s on his radio show, of the same name, saying, “The lines are open, call 1-888-729-3776.” So I said what the heck, I’m promoting my book (The Asterisk, available at Amazon.com, Barnesandnoble.com, Google Play Book Library, and iTunes), why not give it a shot. It was surprising to hear someone on the other end asking for my name with the first call. Immediately after giving my name the next voice I was talking to was none other than Stephen A. Smith, one of the most recognizable brands in sports talk in America. Long story short, we agreed on the effects of the litany of rule changes but differed on the cause. I was somewhat surprised to hear one of the most vocal and iconic brands in the sports world miss the mark on the why the League continues to disappoint its fan base. The roughing the passer rules put in place in 2018 will continue to give the offense the upper hand and Roger Goodell’s motivation for doing so was not different than Pete Rozelle’s in the 1970s. At the dawn of the golden era of Professional Football in America and its matrimony with television, Rozelle and one of the greatest innovators in Professional Football (Tex Schramm, President of the Dallas Cowboys) decided that protecting the quarterback and freeing up the wideouts would put more points on the board, so they continued applying rule changes as defenses became faster, which correlates with defensive players being darker. Roger Goodell is taking a page out of Tex Schramm’s playbook because the National Football League has to reap the profits from Television, Online Portals, Social Media, Fantasy Football Enthusiasts and oh year, Legalized Gambling. Both Robert Kraft and Jerry Jones have reportedly made huge investments in some form of sports betting. Stephen A said the impetus for the rule changes was to prevent lawsuits and that might be part of it, but if safety is the real concern the NFL would not have reneged on its pledged support to fund the National Institute of Health’s CTE Study last summer. My guesstimation is that profits trump safety and being in a position to reap the benefits of the transformation of how some view the sport is a greater priority than even the integrity of athletic competition. Indeed the NFL is skirting the line between professional sport and WWE style entertainment with its gross rule manipulation. It’s hard to even conceive that Tex Schramm stated in 1985 that he couldn’t even imagine implementing more rules to protect the quarterback, but Roger Goodell has gone into overdrive in his era. Schramm talked about doing in such a way that the defense side of the ball could catch up with the offense, but Goodell is using a hatchel and hopefully, his legacy on the game will bear the cost. This is why my book (The Asterisk) is needed and why I believe it is the most crucial sports essay for the 21st Century, a fan’s rallying cry of sorts. If we don’t stop here, we might not recognize the sport in 5 more years. The money grabbers have to take their hands off of athletic performance. On what basis do we measure Tom Brady or Drew Brees’ success if they’re only doing a fraction of what the Roger Starbaugh, Fran Tarkenton, Johnny Unitas, Joe Montana, Terry Bradshaw were doing? 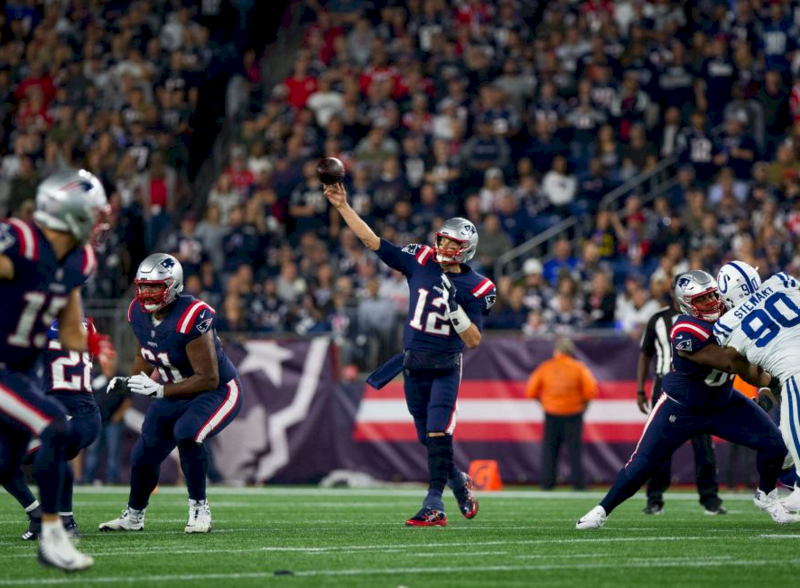 The effort in Brady’s play resembles the likes of Professional Ping Pong players not true athletes on the field of play. In the age of Mixed Martial Arts competition, we don’t have to take a gladiator sport to soft Charmin extremes.